Buckle up with baby and get ready to go on the ride of a lifetime! Mickey Mouse and all his pals are here to take you and your little one on a magical journey across your living room. With 6 playful racecar pieces included, it’s easy for mom and dad to get in on the action. The signature Oball design from Bright Starts is made for even the littlest of fingers to grab and go. Baby can take hold of his favorite character car and zoom as fast as his imagination will take him. Tag along with Mickey and Minnie, Monsters, Inc.’s Mike and Sully, Winne the Pooh and Tigger too. 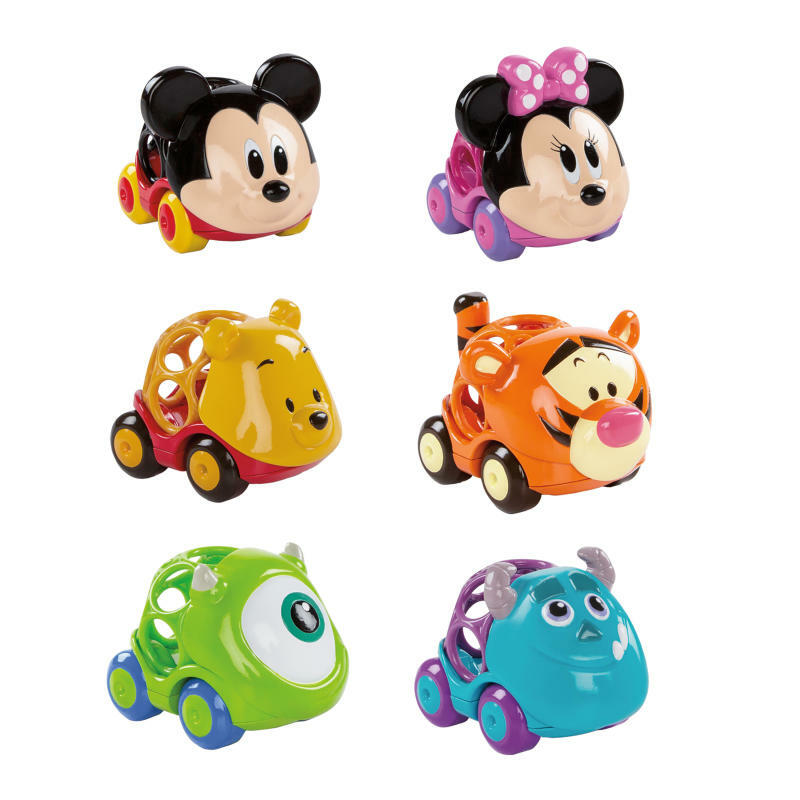 These Disney Baby cars are fun to pick up and impossible to put down! All roads lead to magical memories!